Have you checked up on your financial and occupational lately? 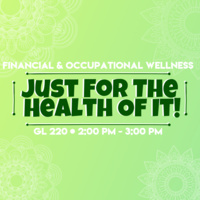 Pass by our last Just For the Health of It workshop to learn more! We'll be giving away HLP tote bags!